The Yarra Ranges Film Society was established in February 1999. Our objective is to promote cinema as an art form in the Yarra Ranges area through regular screenings of quality films in local venues, as well as holding special events such as film festivals. Our current membership is approximately 250, and we welcome all other film lovers to join. Screenings are held at the Arts Centre in Warburton, and at the Memorial Hall (Memo) in Healesville. Both the Arts Centre and Memo venues have recently been upgraded and fitted with with state-of-the-art digital projection systems, which provide high visual quality and excellent sound. Our monthly screenings are held at The Arts Centre, Warburton on the second Tuesday of each month from February to December, commencing at 7.30 pm. The same program is screened at the Memo venue on the third Tuesday of the same months. Attendance at Film Society screenings is for Members only. All of our members are involved in the selection of films for the annual program by means of a nomination and voting process. After each monthly film we have a casual gathering which includes a light supper. For those wishing to take part in more serious discussion of the film, a discussion table is provided. A starbox system is used to enable members to express their opinions of the night’s film. We hold a Christmas Party for members prior to the December screening. In mid-June each year the Film Society holds the Warburton Film Festival. This is a three-day event, held at The Arts Centre in Warburton, which attracts local and visiting film lovers alike. We also organize a Short Film Competition for young filmmakers; prize winning entries are screened prior to the feature films shown at the Film Festival. The Short Film Competition has been held each year since 2009. Our society is a member of the Federation of Victorian Film Societies, which has over sixty member film societies. For details of the society's past history see history of Yarra Ranges Film Society. These rates apply from the beginning of the year until April. From May onwards, a sliding pro rata scale applies for any new members. New members can join on any of our monthly screening nights using cash or cheque, with an EFTPOS option available on the February night. Membership applications can also be made over the counter at the Arts Centre or The Memo, or online through the Yarra Ranges Council ticketing system. Please note that a $2.50 surcharge applies for these options. 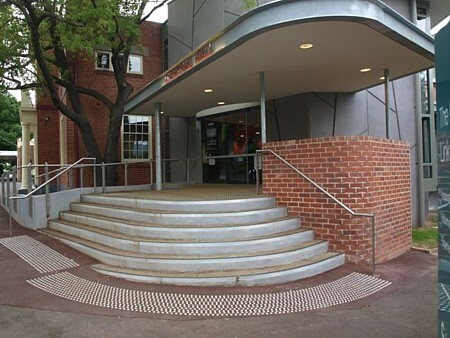 Members of the Film Society are offered generous discounts at The Arts Centre, Warburton, and at the Healesville Memo, on tickets to movies provided directly by the Yarra Ranges Council at these venues. These are quality movies on current commercial release and are usually screened 3 nights and 5 mornings and afternoons per week.